In black with red interior. This striking Mk11 started out life with a 2.4 and was fitted with an uprated 3.8 litre engine in 2007 during its restoration. 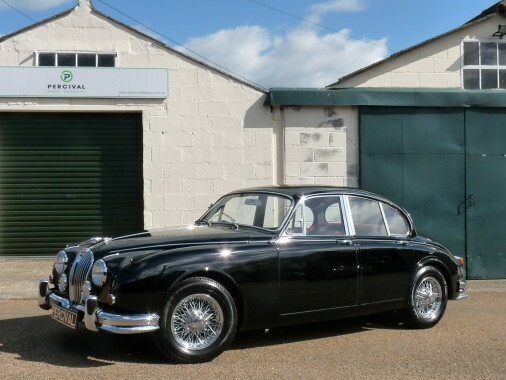 It has uprates brakes, a reconditioned manual gearbox with overdrive, new chrome, Coombs rear spates which allow the slightly wider chrome wirewheels to sit nicely in the arches, a stainless steel exhaust, and the radio has been converted to FM.